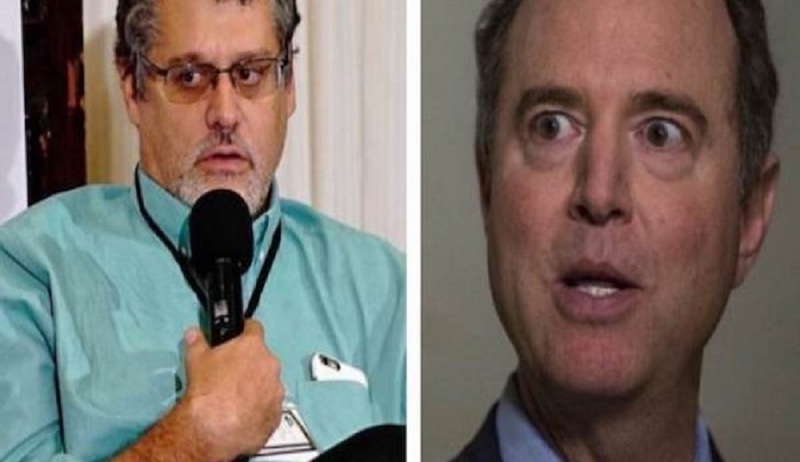 Featured Photograph: Adam Schiff, a Democratic member of the House of Representatives, and his fellow Trump-hating conspirator, Fusion GPS CEO Glenn Simpson. 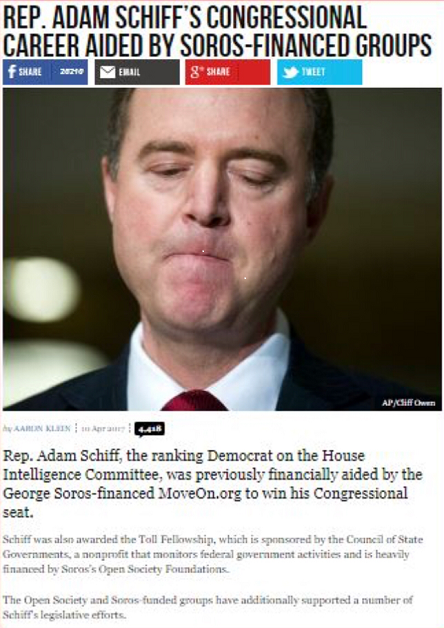 While the arguably biggest Democratic Party leaking-lawmaker, Rep. Adam Schiff (D-California), is frequently welcomed into the arms of the Trump-hating national news media, there are a few fair-minded journalists who have investigated and exposed the less-than-honest claims against President Donald Trump made by Rep. Adam Schiff. On Friday, The Hill and Fox News Channel contributor John Solomon reported that the U.S. Congress’ leaker-in-chief Adam Schiff — a major player in the transformation of the Golden State into a Marxist State — met with Glenn Simpson, the owner of Fusion GPS which created the infamous and bogus Robert Steele Dossier, the evidence for the FBI’s Foreign Intelligence Surveillance Act (FISA) court surveillance warrant against Trump campaign adviser Carter Page. The surveillance of Page was viewed as an opportunity to spy on other members of the Trump campaign and, later, the Trump transition team. 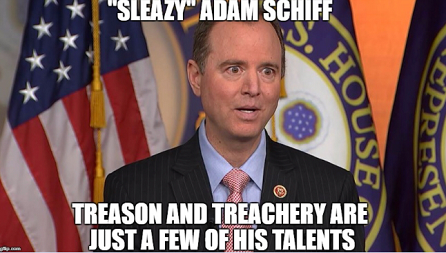 Schiff was a ranking member of the House Intelligence Committee, and he is suspected of being the primary source of leaks about the committee’s non-public hearings. With the Democrats’ takeover of the House, Schiff is now the chairman of that committee. His propensity for leaking information to the news media is a reminder of another great leaker named Senator Patrick “Leaky” Leahy, who was kicked off the Intelligence Committee for his disclosure of classified information during President Ronald Reagan’s cold war with the Soviet Union. In his own words, on the FNC’s Hannity Show, Solomon stated that the Schiff-Simpson meeting occurred in July 2018 at a Security conference held in Aspen, Colorado. Solomon found pictures of Simpson and Schiff together at the event. Solomon didn’t publish the photos at that time, however, he did confront the offices of the two using the images as proof of their Aspen meeting. Schiff’s response was even more vague: “The chairman did not have any pre-planned meeting with Glenn Simpson, and any conversation with him at the Aspen conference would have been brief and social in nature,” Schiff spokesman Patrick Boland said.